Images of Bourbon Street may keep New Orleans  from being at the top of many families' vacation destinations, but the Crescent City is actually a great place to visit with the little ones. Generations of children have grown up in New Orleans and they enjoy life there just as much as their elders do. There are lots of fun places and activities for tourist children to experience, even beyond the river boats, carriage rides, and sweet beignets of the French Quarter. See the main New Orleans article. 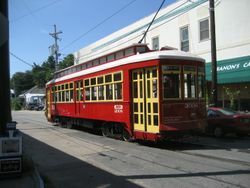 In New Orleans, travel can be part of the entertainment, as it involves options such as street cars and ferries that many other cities lack. If they capture your kids' imagination, consider integrating a ride with a visit to an out-of-the-way attraction, or just take a round-trip for the heck of it. Algiers Ferry is the more common name for the Canal Street Ferry. 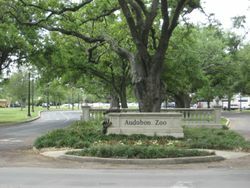 It runs from near the aquarium to the Algiers neighborhood and is free for pedestrians. Enjoy the views of the city from the Mississippi! Hop on a Streetcar. When your kids end up reading "A Streetcar Named Desire" in 11th grade English, they'll have something to relate to. There are 3 streetcar lines. One goes from Canal Street near the Quarter up St. Charles and S. Carrollton to S. Claiborne. Another goes along the river from Esplanade to the Convention Center. Third goes from Canal near the Ferry landing up to City Park Avenue, with a spur going along N Carrollton to Esplanade. That takes you to City Park in front of the art museum. 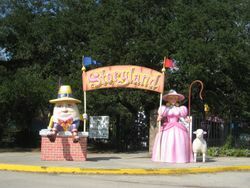 10 miles west of the Big Easy lies Kenner, with its Rivertown  collection of museums, attractions, restaurants and shops. Do a Swamp Tour. Make arrangements with one of many tour companies. Westwego and Honey Island  are good choices. This itinerary is an outline and needs more content. It has a template, but there is not enough information present for it to be of real use. It was last edited on 2010-09-27 and will be deleted if not modified for one year. Please plunge forward and rescue it! This page was last edited on 27 September 2010, at 16:44.